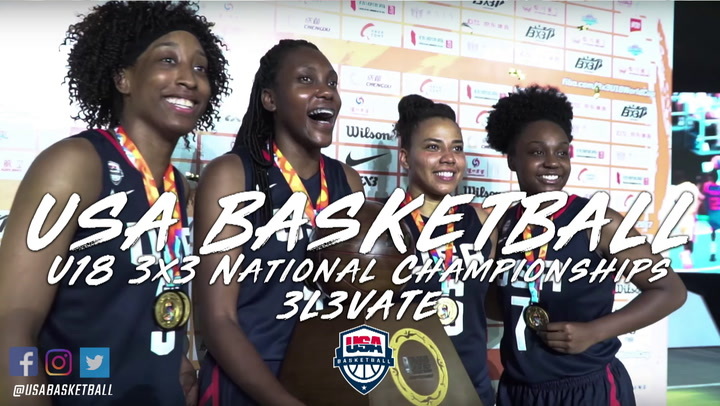 Featuring 12 men’s teams and 11 women’s teams from across the country, the rosters have been finalized for the 2018 USA Basketball 3x3 U18 National Championships, which will be held March 24-25 at the United States Olympic Training Center in Colorado Springs, Colorado. The weekend’s games are free and open to the public. The teams for each tournament have been drawn into two pools each for the March 24 preliminary round games. Held in USOTC Sports Center II, round robin competition for men begins at 9:40 a.m. (all times listed are local, MDT), with the preliminary round final games set to start at 5 p.m. 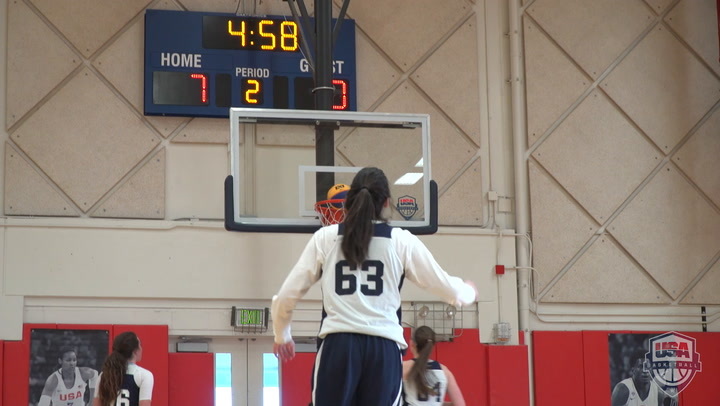 The women’s games begin at 9 a.m., and the final session is scheduled to tip-off at 3:40 p.m.
Not only is a championship title at stake, the USA Basketball 3x3 U18 National Championships also will serve as a trials for the 2018 U.S. Youth Olympic Games, which will be held Oct. 6-18 in Buenos Aires, Argentina. Held every four years since 2010, the Youth Olympic Games basketball competition will be played under FIBA 3x3 rules and feature 20 men’s teams and 20 women’s teams. 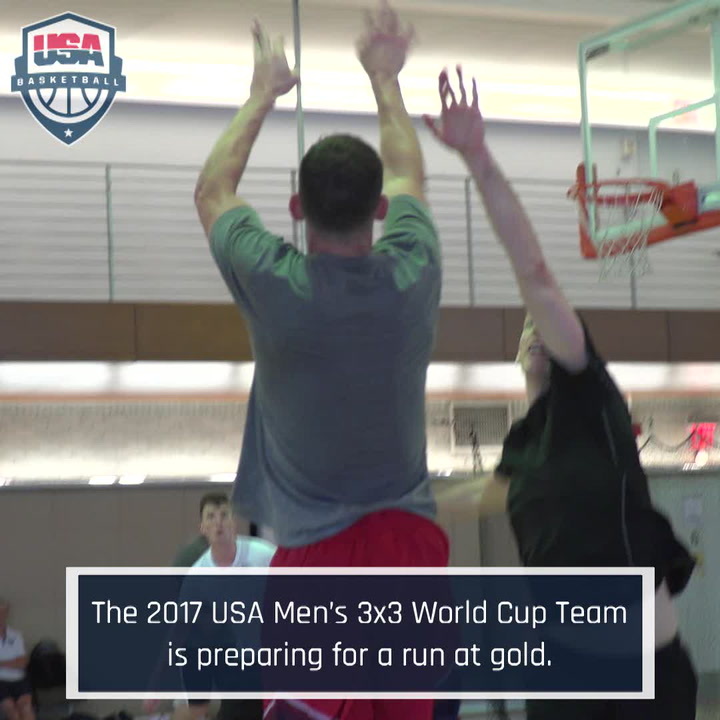 In the men’s tournament there are nine states represented with Pennsylvania sending 15 athletes to the USA 3x3 U18 Nationals. Florida is represented by nine athletes; Illinois and Colorado list eight apiece; Oregon has four on the list; and Delaware, Iowa, North Carolina and Ohio list one each. Competing for 1 Elite are Chase Hettinger (Castle View H.S./Castle Rock, Colo.); Kwane Marble (Denver East H.S./Aurora, Colo.); David McKean (Castle View H.S./Castle Rock, Colo.); and Dayne Prim (Grandview H.S./Aurora, Colo.). Alpha is comprised of Isaac DeGregorio (Hampton Area H.S./Hampton, Pa.); Aydin Hanousek (Canfield H.S./Canfield, Ohio); Ryan Meis (Bethel Park H.S./Bethel Park, Pa.); and Kade Persinger (Grove City H.S. /Grove City, Pa.). Listing on the BBA roster are TJ Boykins (Douglas County H.S./Castle Rock, Colo.); Darien Meyers (William J. Palmer H.S./Colorado Springs, Colo.); Brendan Temple (Douglas County H.S./Castle Rock, Colo.); and Matt Veen (Mullen H.S./Denver, Colo.). Cubs Hoops features Isiah Bauman (Freeport Area H.S./Sarver, Pa.); Geoffrey Helm (Greensburg Central Catholic H.S./Blairsville, Pa.); Cameron Nusser (Belle Vernon Area H.S. /Belle Vernon, Pa.); and Stephen Watson (The Kiski School/Allison Park, Pa.). Representing H2G Rising Stars are Harrison Bradshaw (Countryside H.S../Clearwater, Fla.); Darius Miles (Pinellas Park H.S./Largo, Fla.); Christian Quintana (Calvary Christian H.S./Clearwater, Fla. ); and Tyler Skaggs (SPC Collegiate H.S./Clearwater, Fla.). H20 is comprised of Nikola Arsic (Lane Tech College Prep H.S./Chicago, Ill.); Vuk Djuric (Lane Tech College Prep H.S./Chicago, Ill.); Michael Molloy (Lane Tech College Prep H.S./Chicago, Ill.); and Jimmy Mulvaney (Lane Tech College Prep H.S./Chicago, Ill.). Playing for Hard2Guard Elite are Dionte Blanche (Eastlake H.S./Clearwater, Fla. ); Luka Erdtmann (Berkeley H.S./Berkeley, Fla.); Sky Wicks (Allendale Academy/Clearwater, Fla. ); and Ronnie Williams (Clearwater Central Catholic H.S./Clearwater, Fla.). HOOPLA’s roster includes Dakota Reber (Wilsonville H.S./Milwaukie, Ore.); Gabe Reichle (Wilsonville H.S. /Wilsonville, Ore.); Jack Roche (Wilsonville H.S./Wilsonville, Ore.); and Keegan Shivers (Wilsonville H.S. /Wilsonville, Ore.). The Philly Takover team includes Tajmir Burley (Excel South Academy /Philadelphia, Pa.); Jawine Evans (PE&T H.S./Philadelphia, Pa.); Jordan Gombs (New Foundation Charter H.S./Philadelphia, Pa.); and David Price (Excel South Academy/Philadelphia, Pa.). Quest features Dudley Blackwell (Westminster Academy /Ft. Lauderdale, Fla.); Jyare Davis (Sanford School /Hockessin, Del. ); Patrick McCaffery (West H.S. /Iowa City, Iowa); and Carson McCorkle (Greensboro Day School/Greensboro, N.C.). Members of the Spartans are Bryan Beattie (Oak Lawn Community H.S./Oak Lawn, Ill.); Adem Osmani (Oak Lawn Comm. H.S./Oak Lawn, Ill.); Sami Osmani (Oak Lawn Community H.S./Oak Lawn, Ill.); and Trey Ward (Oak Lawn Community H.S./Oak Lawn, Ill.). Western PA Elite is comprised of Bryce Butler (Greater Latrobe H.S./Latrobe, Pa.); Reed Fenton (Greater Latrobe H.S./Latrobe, Pa.); Thomas Melonja (Lincoln Park Perf. Arts Charter Sch./Venetia, Pa.); and Michael Palmer (Mt. Lebanon H.S. /Pittsburgh, Pa.). 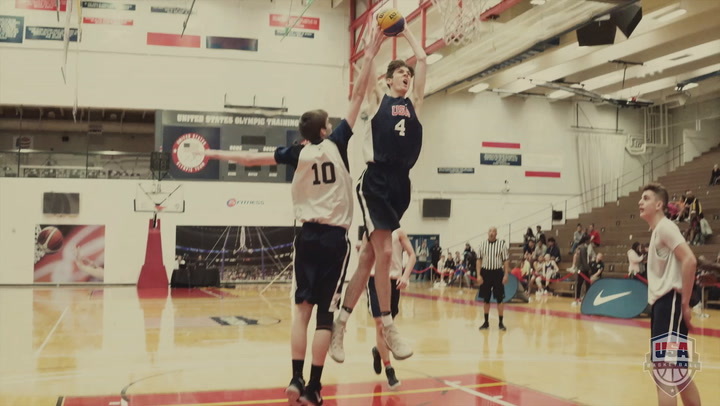 Six athletes have competed in prior USA 3x3 U18 National Championships, including two-time participant Roche, who was on Hoopla in 2016 and 2017. Arsic and Molloy teamed up with the 2017 Four Musketeers, Butler and Fenton were on the 2017 Western PA Elite Black squad, and Hettinger played for the 2016 Grind Time Hoops team. 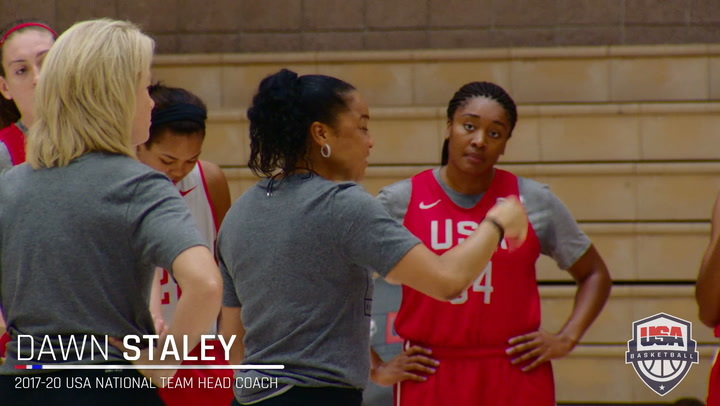 Further, Blackwell and Davis are two-time USA Basketball Junior National Team October minicamp participants and also took part in the 2017 USA U16 National Team camp in June; McCaffery has been selected by USA Basketball to participate in the 2018 NCAA Next Generation event; while McCorkle participated in the 2016 USA Junior National Team October minicamp.